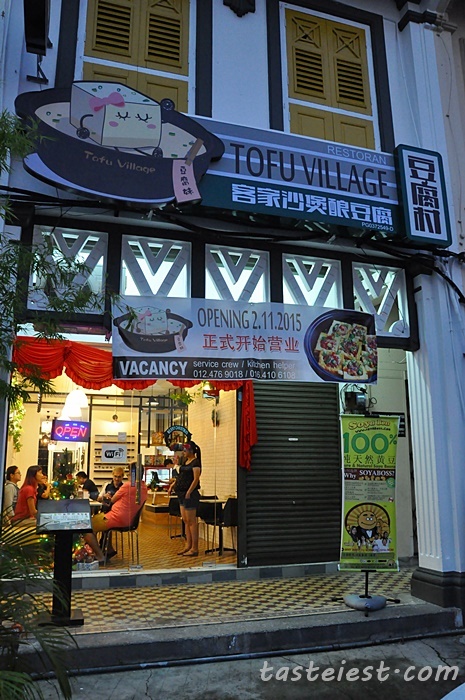 Tofu House is a newly open restaurant located at Church Street where lot of guest house are located, walking distance to Kuan Yin Temple which make it a good spot for tourist as well. Signature dishes are Hakka Mee with Yong Tou Fu, with over 30+ ingredients to choose from it make it one of the best place for lunch. Ample of parking space available night time but lunch will have some challenge. 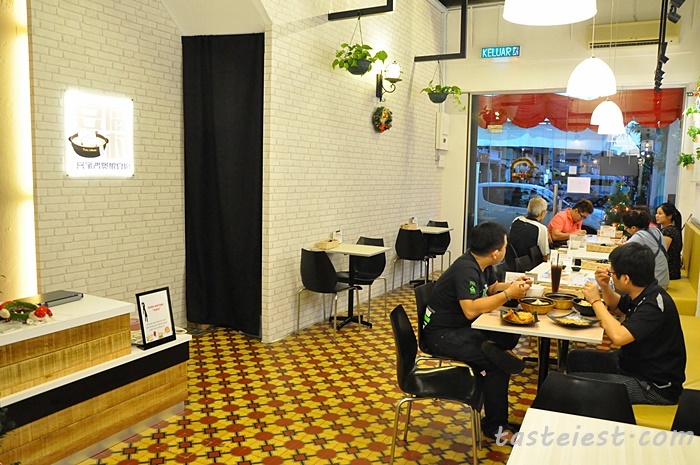 Restaurant are painted with white color with green plant over the wall making it look simple yet comfortable. 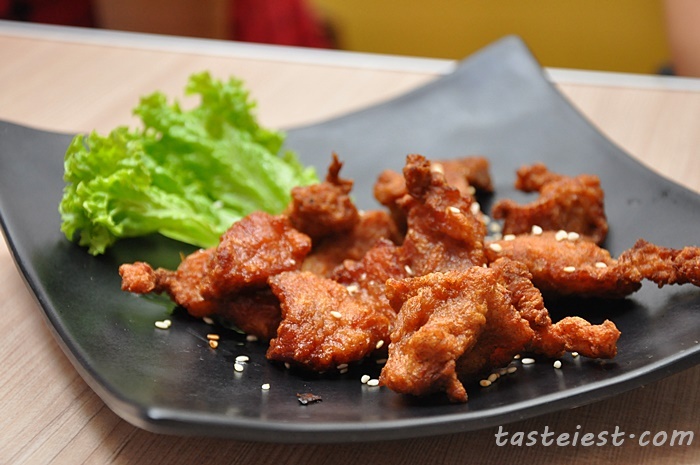 Hakka Fried Pork RM6.50, nicely marinated pork meat with secret recipe making it fully absorb the sauteed taste of various seasoning and it is extremely soft inside with crispy skin. Plum with Sweet Potato RM5.90, deep fried sweet potato top with plum powder, taste sweet with a little bit sourish making it a good appetizer. Yam Abacus RM8.90, it is extremely hard to find Yam Abacus (算盘子) or we just failed to get a good one, now we can get a good bowl at Tofu Village. 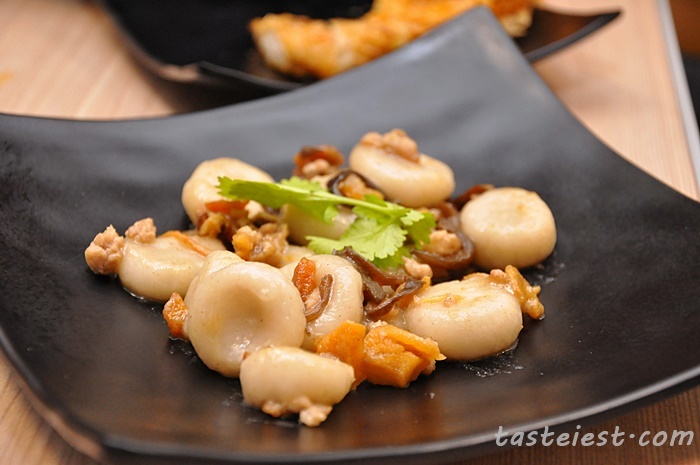 Extremely soft in texture which are as soft as glutinous rice ball, served with fried pork, mushroom, black fungus, pork lard, dried shrimp and dried squid is just awesome. Hakka Mee RM4 Small, RM5.50 Large. Big portion of noodle with a big chunk of Hakka Pork Mince. 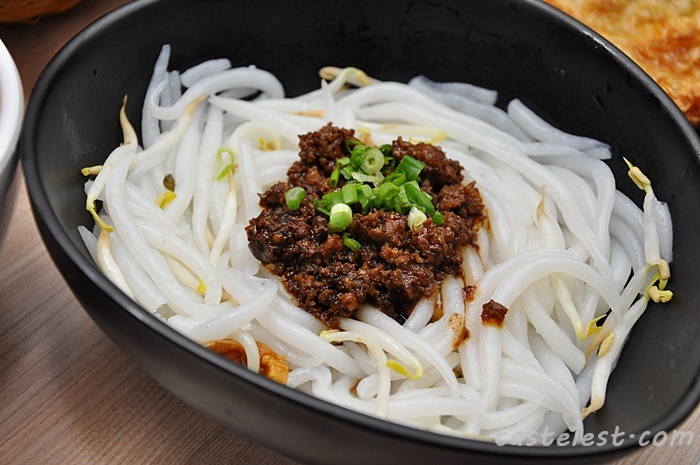 The pork mince has very strong pork lard and soy sauce fragrance, I can finish the whole bowl of Hakka Noodle without any other ingredients, it is so flavorful. Mee Chai Mak RM4 Small, RM5.50 Large. Mee Chai Mak serve with the same type of pork mince sauce but personally i recommend Hakka Mee as it stick with the sauce better compare to Mee Chai Mak. 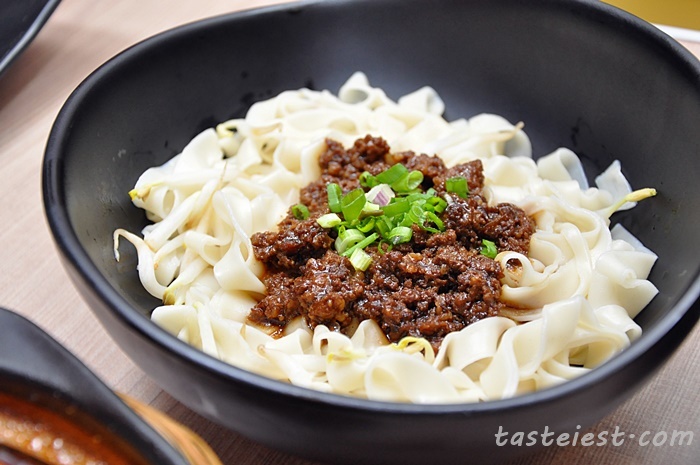 Braised Pork Rice, the pork mince look pretty much like Hakka Mee pork mince but it is actually different. 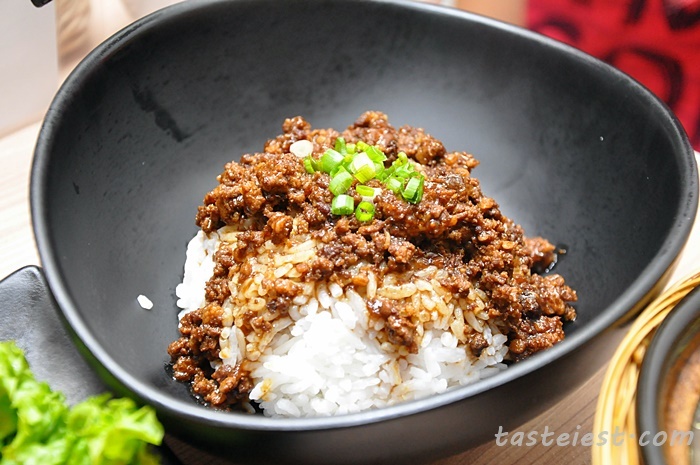 Braised Pork Mince has more fat part and it has to braised for at least 3 hour with premium quality soy sauce that make it flavorful. There is a total of 35 ingredients available and most of the item are freshly made daily. Assorted Yong Tau Fu item such as Chili, Tofu, Yam, Long Bean, Wan Tan, Mushroom, Bean Curb…etc ranging from RM0.60 to RM1.80 only. Reasonable pricing. 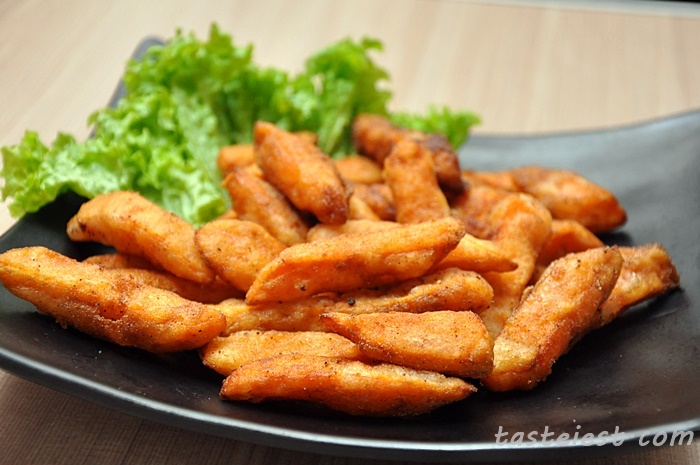 I just love their pork mince that attach to various vegetable, it is nicely done to flavor and dipping with the provided sauce making it taste good. 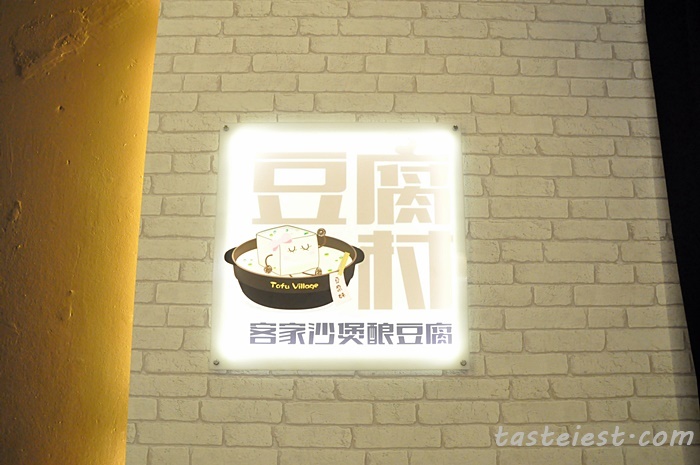 Yong Tou Fu with Clear Soup are free of charge and clay pot are served for order of 5 items and above. 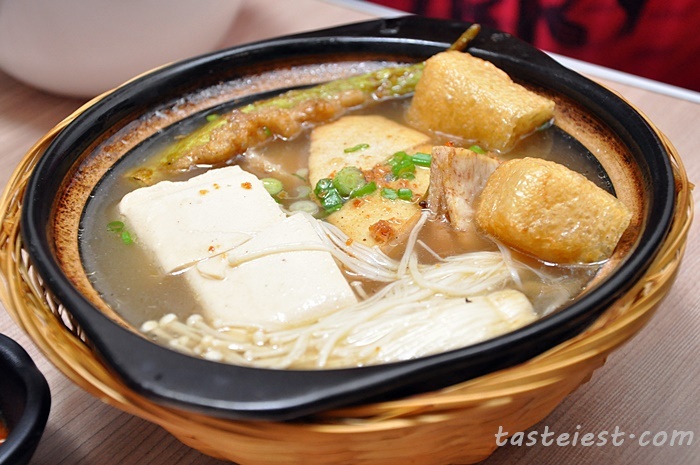 Clear soup has vegetable sweetness with strong fried garlic fragrance. 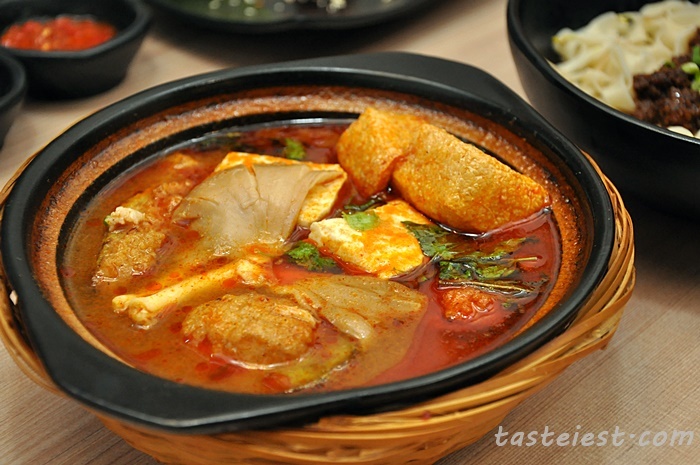 Yong Tou Fu with Tomyam Soup is highly recommended, it taste sourish and spicy. 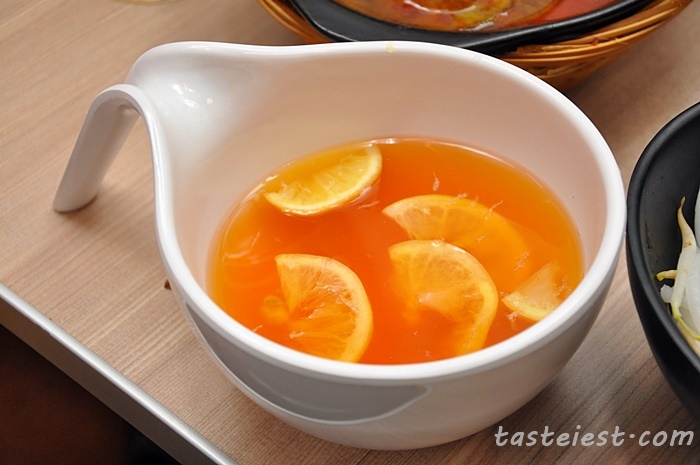 We finish every drop of the tom yam soup as it really taste good. 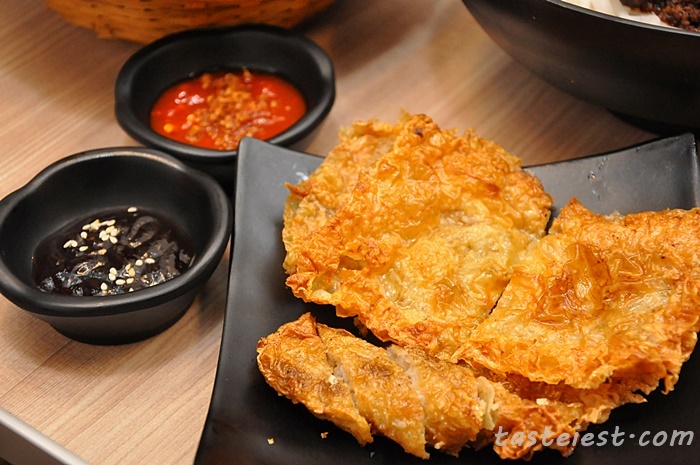 Deep Fried Fritter is a must order items, it is so crispy and dipping with the spicy and sweet sauce make it taste awesome.